Hundreds of community members and city leaders gathered in Antioch for the grand opening of the city's ninth regional community center. Mayor David Briley joined other city officials to open the doors to the Smith Springs Regional Center and Park in the 2800 block of Springs Road near Percy Priest Lake. Hundreds of community members and city leaders gathered in Antioch for the grand opening of the city's ninth regional community center. Mayor David Briley joined other city officials to open the doors to the Smith Springs Regional Center and Park in the 2800 block of Springs Road near Percy Priest Lake. The special event was particularly emotional for Councilwoman Karen Johnson who worked on the idea nearly two decades ago. She thanked many of the people who contributed to the project, including the artist and property owner who offered the land to the center instead of residential use. "One of the things that we have struggled with out here in Antioch is the fact that we were always left behind from the rest of the city. We needed to have access to the same amenities, things that improve our quality of life," said Johnson. The 31,000 sq. ft. center includes a fully equipped fitness center, gym, indoor walking track, movement studio, multipurpose meeting spaces, and a pool. The building cost $9.5 million and will also have a playground and walking loop. 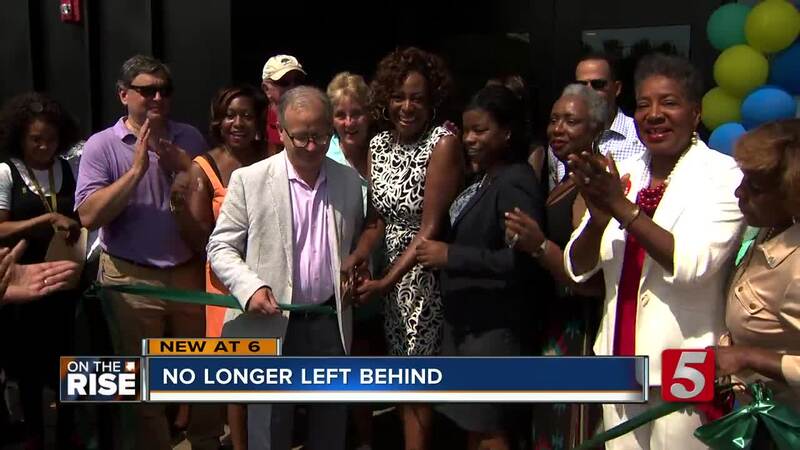 Arabelle Todhunter and her family told NewsChannel 5 that the center was a long time coming. She moved to Antioch 12 years ago and would always have to travel outside of her community for her children to seek the same amenities. "It makes you feel loved to know they do care about our community. We are not just the random community by the lake, and so I think it looks amazing," said Todhunter. The mayor said he hoped the building would also provide an opportunity for children to fulfill their potential and stay off the streets. Teen violence and deaths have been an ongoing problem in Nashville. In February, the Juvenile Crime Task Force with the Metro Nashville Police Department began. So far, the task force has charged 130 juveniles with crimes. Of those, 82 were charged with felonies, and 176 were charged with misdemeanors. "Your zip code shouldn't tell me how old you're going to be when you die," said Briley. "We will focus tirelessly on making sure that no matter what zip code or neighborhood you live in, you will have a chance to reach your fullest potential."